Before I left Virginia to travel to Saugerties, N.Y., to cover the Pfizer $1Million Grand Prix, I updated my Facebook status to “I’m off to New York to watch Sapphire win again.” The message was a bit tongue-in-cheek, because obviously anyone can win on any given Sunday, and because it seems a bit ridiculous that Sapphire would win again. But she did. 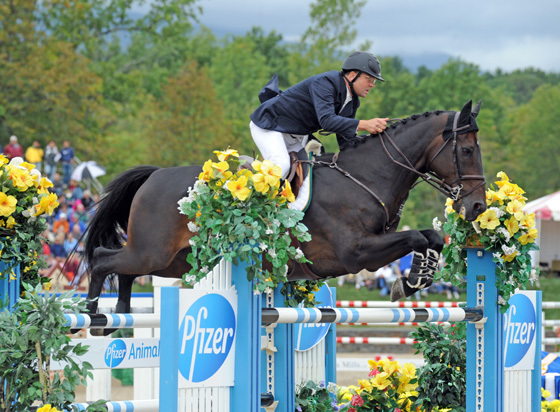 That’s right, the super-mare came through for McLain Ward yet again, polishing off the win in the Pfizer $1 Million class on Sept. 12 with an ease and style that simply outclassed the field. 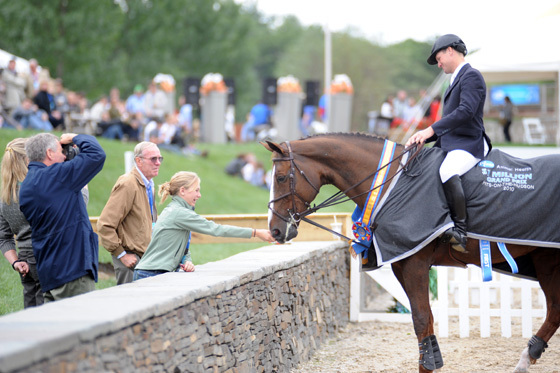 For her efforts, Sapphire earned a $350,000 top check for co-owners Ward and Thomas Grossman. Ward estimates that her career earnings now approach the $4 million mark. 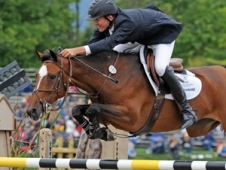 Sapphire just won the $250,000 FTI Grand Prix CSI-W at the Hampton Classic (N.Y.) on Sept. 5. 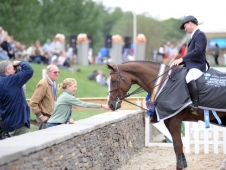 This was her final outing before competing for the U.S. team at the Alltech FEI World Equestrian Games. The big win capped an unbelievable week for Ward. 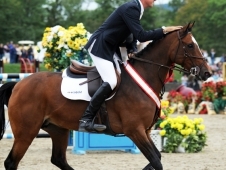 He won both the other grand prix class offerings on Rothchild, topping the $30,000 Welcome Stake and the $50,000 Pfizer Wild Card Grand Prix CSI-W; his new ride, Antares F, was sixth and fourth in those outings. 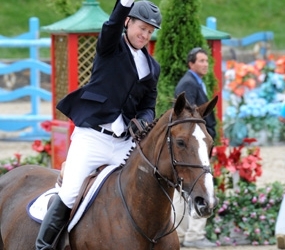 As a rider, Ward won $379,500 over the week. But Sapphire simply makes everything look easy. 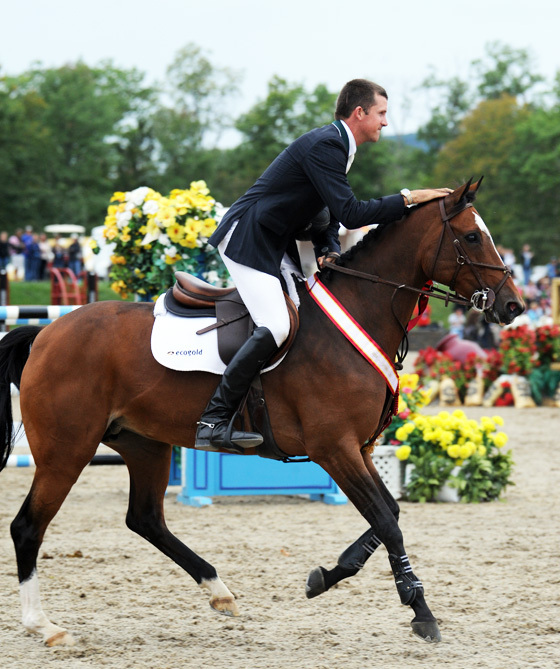 Course designer Steve Stephens set a massive track in the huge ring at the HITS Saugerties venue. 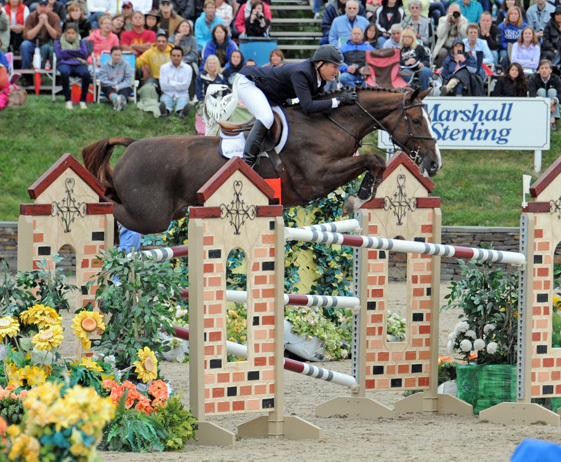 Just two horses—Sapphire and Charlie Jayne on Athena—jumped clean for the jump-off out of a field of 43 starters. 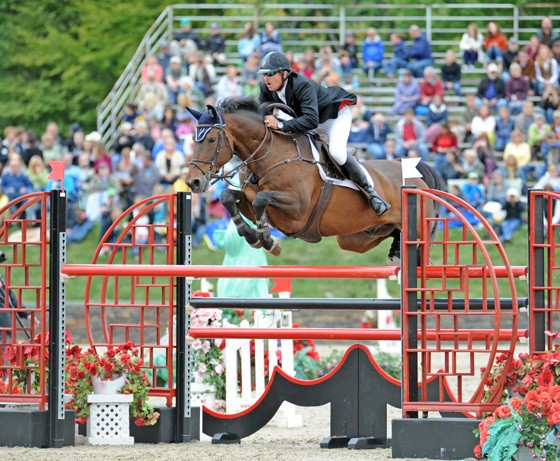 John Pearce, on Chianto, picked up $120,000 for third-placed money after he picked up just 1 time fault in the first round. 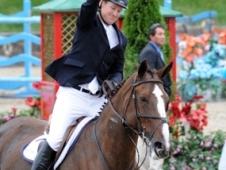 Jayne had the unenviable task of going first in the jump-off, setting the pace for Ward. He knew he had to lay down the trip to beat. He was fast, but Athena just brushed a rail, and it hit the ground with a thud. 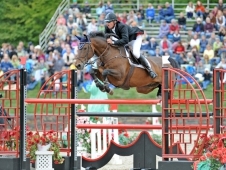 “I’ve never competed for this much money before, and I knew McLain was most likely to go faster than me, so I went for it,” Jayne said. “Second place money was less, but it’s still a lot of money!” Jayne picked up $200,000 for second place. Ward survived a dicey moment when Sapphire nudged the top bricks of a wall to the edge. “I had a lucky run there, for sure, but it went my way,” he said. 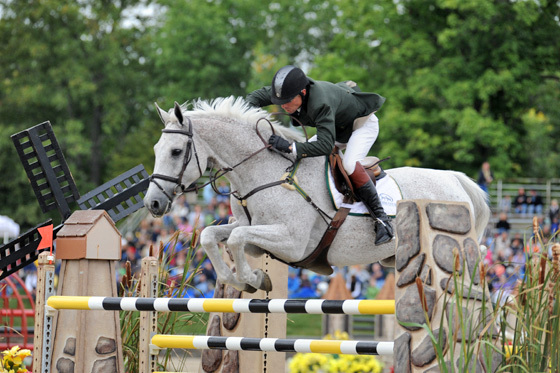 “I knew I was going to go fast—I wanted to win if I had a rail or not!” Ward said. Even if those blocks had toppled, Sapphire was still more than a second faster than Athena. 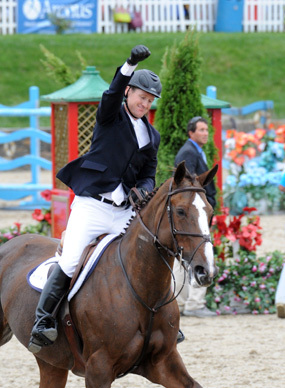 After jumping the last jump, Ward indulged in a little bit of celebration, galloping around the ring, pumping his fist in the air. It was an uncharacteristic display of emotion for the intensely focused Ward, but it got the crowd on their feet. Pearce’s $120,000 for third place added to his $11,000 for riding Son Of A Gun to second in the $50,000 CSI-W behind Ward and Rothchild. But he lamented not being able to jump off for the big check. 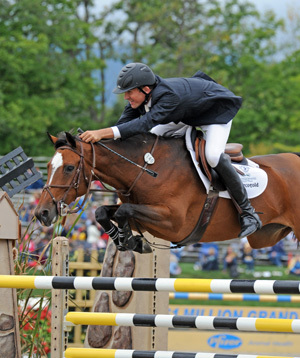 Ward and Sapphire’s teammates for the WEG, Mario Deslauriers on Urico, had their final prep in Saugerties’ big-money class, too, and they placed sixth with one of the quicker four-fault rounds of the day. 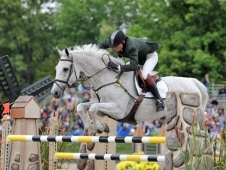 Candice King, the team reserve on Skara Glen’s Davos, was 16th with 8 faults.